Scratch the surface of early-seventies progressive rock and underneath all the classic albums and famous musicians you will find a series of lesser-known bands and artists who failed to hit the big-time but still managed to create all manner of excellent prog. Dig a little deeper and you'll find MAINHORSE, a little-known European prog-rock group who produced one excellent album and introduced the world to the enigmatic swiss-born keyboardist Patrick Moraz, who would later on find fame with both YES and THE MOODY BLUES. 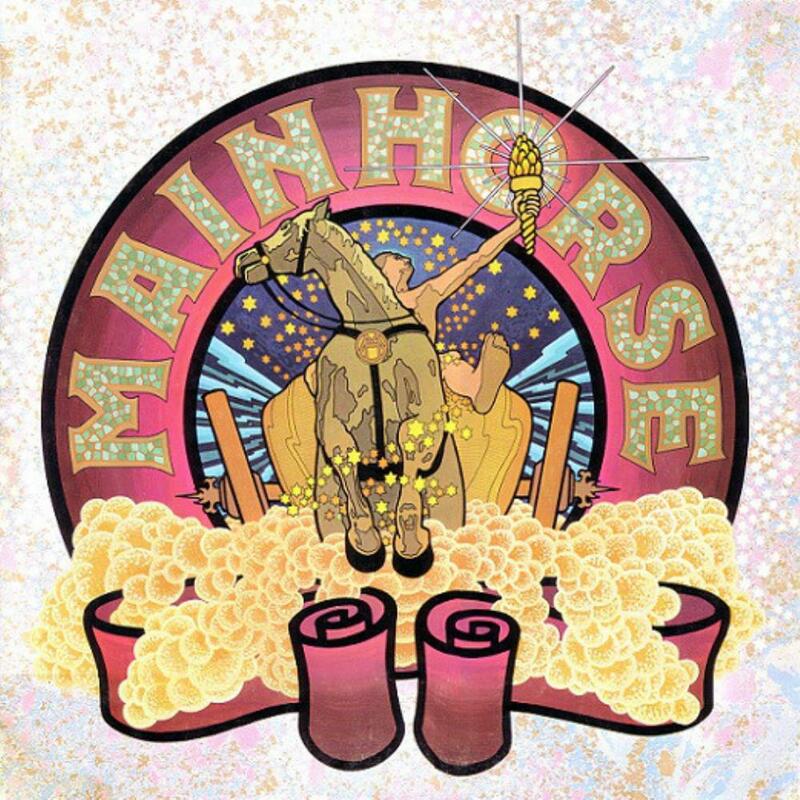 The eponymously-titled MAINHORSE debut was released to little fanfare in 1971 after the group had signed with Polydor Records 12-months previous, but dis-banded soon after the completion of their one-and-only album. It's a genuine shame, because it's a wonderfully constructed and highly-original seven-track album that was made at a time when groups such as YES, ELP and GENESIS had yet to find true international success. Moraz(Organ, Keyboards, Vocals) was augmented by Peter Lockett(Guitar, Violin, Vocals), Jean Ristori(Bass, Cello, Vocals) and Bryson Graham(Drums), who would later play with SPOOKY TOOTH. Moraz was the groups figurehead, composing and writing most of the music, whilst Peter Lockett contributed most of the lyrics and vocals. The style of music was un-ashamedly progressive, with multiple-keyboard and guitar solo's showing off both Moraz's and Lockett's skillful playing styles. It's also impressively original, with the group creating a unique twin-instrument attack and at the same-time avoiding sounding quite like anyone else either since or before them. But for all Moraz's brilliantly-handled moments on either the Keyboards or the Organ, it's the beautiful Passing Years, a mainly guitar-led piece which is the stand out-track with Lockett's Gilmour-esque finger-picking floating over the deliberately mysterious lyrics, creating a moment of thrilling beauty. Quite how MAINHORSE failed to make the grade will always be a slight mystery as more-and-more puzzled listeners stumble across this unique record due the groups affiliation with Moraz. One suspects that if the Swiss piano-wizard had not been involved then the album would have been consigned long-ago to the bargain basement bucket(or even deletion), but thankfully MAINHORSE is at last receiving the respect and admiration it has always deserved.